The Voronoi III Brass Ceiling Light includes three of our signature Voronoi III bulbs, three Brass Pendants and the Voronoi Plate. Designed to bring you the best value for the biggest impact, this set captures the way our designers envisioned the Voronoi III to be displayed in your home with a cluster of three. Inspired by the patterns found in the forest canopy, the Voronoi III is a statement bulb that pushes the boundaries of design and technology with its unique form. 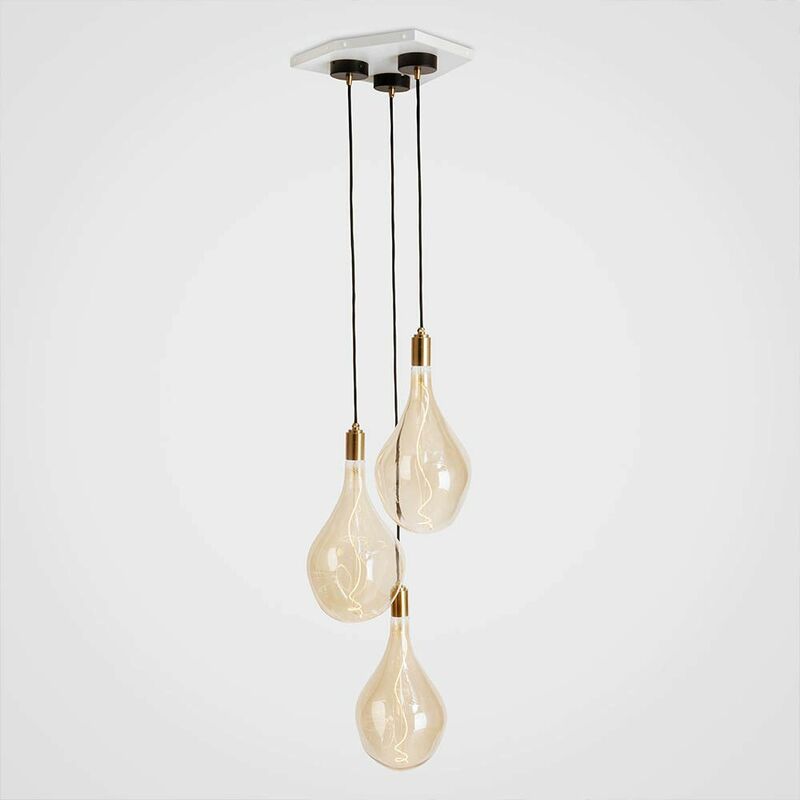 With a singular Fibonacci-inspired spiral of LED filament wrapped around the central column and an elegant droplet shape, this mouth-blown glass bulb enhances any interior with a warm, amber glow.